Sometimes authors run into problems with Dramatica not because of what the software is actually doing, but because of what they THINK it is doing! Used properly, the software can offer a myriad of create opportunities. But used improperly, it can seem limiting and confining. For example, a Dramatica user recently complained that the software was limiting his story by making choices for him. When you make choices about the roles characters will play, the theory begins to make other choices for you from its possible storyforms, and certain choices become impossible. My response:Thanks for the comment, but that is simply not true. Neither the theory nor software makes other choices for you about anything in your story no matter what role you choose for your characters. Try it out for yourself. Go to the Build Characters area, create a character. Give that character any role like Protagonist, Antagonist, or create a completely complex, non-archetypal character. If you check throughout the software, you’ll find that absolutely nothing has been limited by your choices. Go to any other character development area in the software. Assign any role. Nothing will be limited. In fact, there is not a single programming connection anywhere in the software that will make any dramatic choices for you based on assigning a character role. This is why I feel compelled to respond to some of the postings about Dramatica in this forum: to address complaints about the theory or software that describe things that aren’t even a part of the theory or software. To go into more detail, in both theory and software you can also assign characters any name, create any background, any human or physical traits, and any storytelling role (like Doctor, Mercenary, or Joe’s Wife) and nothing will be chosen for you or limited in your story or in what roles are available for other characters. So, I really don’t know how you have come to the conclusion that the Dramatica software makes choices for you when you assign a character role. I’m sure there is something the software that appeared to you as if this was happening. And, I’m sure your conclusion was based on an honest interpretation of whatever it was. Therefore, the problem with the software in this particular regard is not in what it is actually doing, but what it appears to do, at least to some authors. My job, then, is to find out what gave you the impression that Dramatica made choices based on assigning character roles and then correct the way the software presents itself so that mistake is no longer made. To that purpose, I would appreciate it if you could (almost tech support style) list a specific instance in which you felt the software was making or limiting choices based on assigning character roles. In other words, to be analytical about it, many valid narratives (and every single one I have tried to form with Dramatica) fall outside the theoretical space of possible storyforms within Dramatica, just as most real numbers >fall outside the space of natural numbers. Again, this really isn’t specific enough for me to determine the actual problem you were having as a Dramatica user. What valid narratives did you try to form with Dramatica that were not allowed? I think if you can describe the problem more precisely, I can obtain a better understanding from you about where Dramatica is not connecting with some authors. Then, since the development of Dramatica is an ongoing project, we can improve the software tool and even revise the theory if necessary in order to make something more valuable to more authors. While awaiting your reply, let me offer the following, which may help clarify things. Dramatica DOES have a “Story Engine” which is designed to make suggestions about how to strengthen and make more complete the structure of your story. The Story Engine does not insist that you follow its suggestions. The theory does not say the suggestions the only way to go. In fact, you don’t even have to use the Story Engine to use Dramatica. In my U.C.L.A. class I tell my students to ignore the Story Engine to begin with. Structure is dry, it is lifeless, it is the underlying logistic mechanism of a story. It is necessary for the story to make logistic sense but it will also kill your creativity faster than anything else. We, as authors, don’t come to stories because we want to write a great structure. Rather, we want to move our audience, to excite them, to excite ourselves in the process of sharing our vision. The best way to kill that enthusiasm is to put structure first. In Dramatica, you can begin by ignoring structure, work on your ideas with guidance, but no limits. Only when you have fully expressed those things that excited you about the story in the first place should you seek the structure in the story. The Story Points window lists scores of key dramatic points that can be used in most any story such as: Goal, Consequence, whether the story ends in Success or Failure, the nature of the Main Character’s personal drive, the thematic conflict or issues of the overall story. If you begin in the Story Points window, you won’t even get suggestions from the Story Engine. Instead, you can look at all those story points as dramatic elements you may wish to include in your story. What you write is up to you – no limitations. And you can fill in only those story points in which your interested, ignoring the rest. Are there other valid story points beside those which Dramatica lists? Of course! And there is no reason in the software why you can’t develop those as well. Since some of the listed story points are unique to Dramatica, they can perhaps trigger an inspiration by offering a different tack. I tell my students to first fill in information about every story point for which they already have something in mind. Then, by the very process of getting those thoughts down in an organized list, new ideas come up when all those original ideas are seen in one place, side by side. This often gives an author a new inspiration for another story point in the list that can help bring richness to a story. But the key is to ignore any story points that don’t speak to you and to look over all the ones you have filled-in to cross-reference your own creative work for new inspiration. Now that you have “de-briefed” yourself about all of the ideas that are attracting you to your story, it can be useful to see what kind of a structure you are creating, and also perhaps to find some missing parts in the overall logistic mechanism of your story. If, and only if, you want that kind of help, then you fire up the Story Engine and ask it for some suggestions. For me, the best way to do this is to go into the Dramatica Query System. The Query System is nothing more than a number of different lists of questions about the structure of your story. Each question is a single screen, and there are HUNDREDS of questions because Dramatica looks at stories in great depth. You don’t have to answer all of the questions. You don’t even have to answer any of the questions. In fact, if you don’t want suggestions at all, just skip the Story Engine and go directly to the Scene or Chapter area (available as one of the Query System Lists). 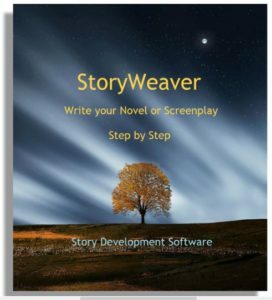 There, you can create as many scenes or chapter as you like with the click of a button. Each scene becomes a separate window that is like a high-tech 3×5 card. There is a top part to the window where you describe how the scene unfolds and a bottom part where you can refer to your notes. What notes are these? The ones you created in Story Points, and in other places where you describe what you have in mind. So, you can select any of what you have already written in Story Points and elsewhere and have those words appear in the Notes area of each scene card. You can add as many or as few story points to each card’s notes as you like. In this way, for each scene you can draw on your own creative ideas and bring them into play as each scene develops. The notes become kind of a shopping list or wish list of the story points you might like to address in that scene. You might use them all in the scene description you write in the top part of the window, or you might only use some of them. In fact, if you just want a particular scene to be for entertainment only, you don’t have to include any story points if you don’t want. You can arrange and re-arrange the “cards” in any order and they automatically re-number themselves, keeping the drudgery out of the process. When you have completely designed the flow and unfolding of your story on the cards, you can print out a report that puts all of your scene descriptions in order as an outline of your entire story. And, you can export that report to any wordprocessor or script formatter. Now, that whole process, from first creative idea to finished outline doesn’t involve the Story Engine at all. Dramatica makes no suggestions and limits nothing. 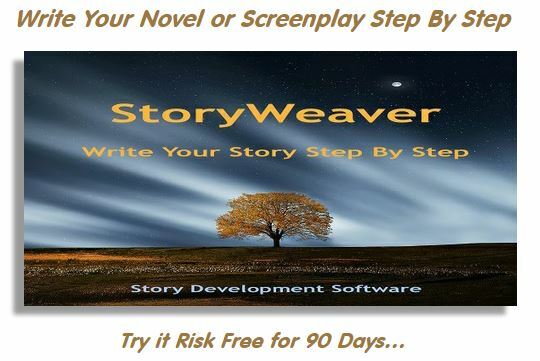 The software used that way is nothing more than a series of utilities that help an author organize his or her material and tries to inspire them with lists of potential story points. Up to this point, Dramatica is not unlike Collaborator, and is far less suggestive than Plots Unlimited. I think it is clear so far that Dramatica does not insist you follow any cult-like dogma nor does it go out of its way to limit your choices or options or impose any kind of approach to story on an author at all. But, if you WANT to get some structural suggestions, then and ONLY then, do you fire up the Story Engine. The Story Engine is what makes Dramatica different from any other software tool for writers – BUT, you don’t have to use it!!! It is an addition to the utilities, not the only thing the software does. To get the structural suggestions, go to the Query System again. Open up the question list with the complete list of all the structural questions. Now, DON’T go through the list in order. The order of the questions in arbitrary, and the story points at the top are probably not the ones of most interest to you in this story. Instead, scroll down the list and find the story point that is most important to you in this story. How do you know which one that is? Look over all that you have written in the Story Points window already. Read your own words without even bothering to look at what story point they pertain to. See which subject matter is most exciting to you in what you’ve already developed. Then, look over to the side of the story points window to see which structural story point those words happen to pertain to. It might be your Goal, or your Main Character’s drive, for example. Whatever that story point turns out to be, you find that story point in the list of structural questions in the Query System. That should be the first question you ask the Story Engine about regarding the underlying structure. Why? Because it is most important to you and because the structure is wide open at this point and there are no limitations. With whichever story point you begin, you will be presented with a little list different kinds of subject matter. So, if you started with Goal as the most important story point to you, you might have already written in Story Points “The Goal is to retrieve the stolen diamonds.” Now, you refer to your words and compare them to the lists of kinds of subject matter. You pick the item or items that best describes the underlying structural significance of what you have already written. Why do you do this? Because as you make choices about the kinds of subject matter with which you are dealing in your story, you are also telling the Story Engine that other kinds of subject matter are NOT in your story. The Story Engine is not limiting your choices, it is asking you to MAKE choices. As you continue to make choices by going through the second most important story point, the third, and so on, eventually you’ll come to a story point question in which none of the remaining choices sound like what you have already creatively written about that story point. This is not Dramatica trying to limit you to only those choices. In fact, it is the primary reason the Story Engine was created. When none of the available choices match what you already creatively wrote, the Story Engine is telling you that it “believes” this particular story point is thematically inconsistent with what you’ve already told it about earlier story points. So, do you have to change what you wrote to follow what Dramatica says? Of course not. It’s just a suggestion. You have a choice. You might look at what the Story Engine suggested and say, “Hey, that makes more sense.” And then you might rewrite how you intended to put that story point into play in your story. But, you might just as well say, “Hey, that doesn’t make any sense at all,” and leave things just as they are. Dramatica won’t “force” you to change your words. It just offered you a suggestion, like any good writing partner. But it’s your story, do what feels right to you! You see, structure helps a story make sense. But audiences don’t primarily go to movies or read fictions to only increase their intellectual understanding. Rather, the audience wants to be made to feel, to be provided with emotional experiences that excite and move them. The experience doesn’t come from the structure, but from the way you tell your story. And if you aren’t writing about what is important to you, you won’t likely write with enough energy to involve your audience. In my opinion, it is far better to have a flawed structure (as long as it is not SO flawed that it drags the audience out of the experience) than it is to have limp, dry storytelling. So, the purpose of the Story Engine is not to force you to toe-the-line with perfect structure. Rather, it is designed to bring flaws in the structure to your attention so you can decide for yourself whether to fix the structure or go with your own inspiration. To conclude, I personally think that most of the flak Dramatica receives is because authors think we are trying to tell them they HAVE to adhere to a structure or that the Story Engine’s suggestions are the only valid ones. I wish they wouldn’t do that! Dramatica is special because it is the first and only software product for writers to be able to offer those kinds of suggestions. The technology behind the Story Engine is so revolutionary that is has received a patent. But:1. The software has MUCH more to offer than the Story Engine. 2. You don’t have to even use the Story Engine for Dramatica to be a really useful tool.3. The Story Engine just makes suggestions to help alert you to potential weaknesses in your structure.4. What you do about those suggestions is completely up to you. This entry was posted in How Dramatica Works, Storyforming Tips. Bookmark the permalink.